MARC ANTONY. Died 30 BC. 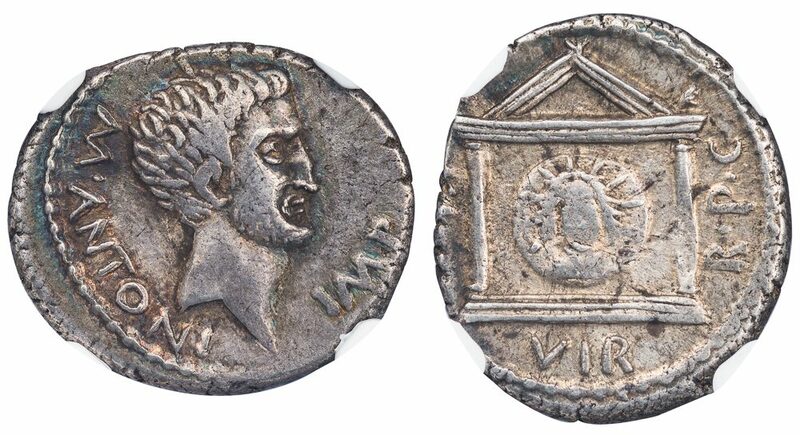 Silver denarius, 3.48 g., 19 mm, minted ca. 42 BC at military mint in Greece. Obv. 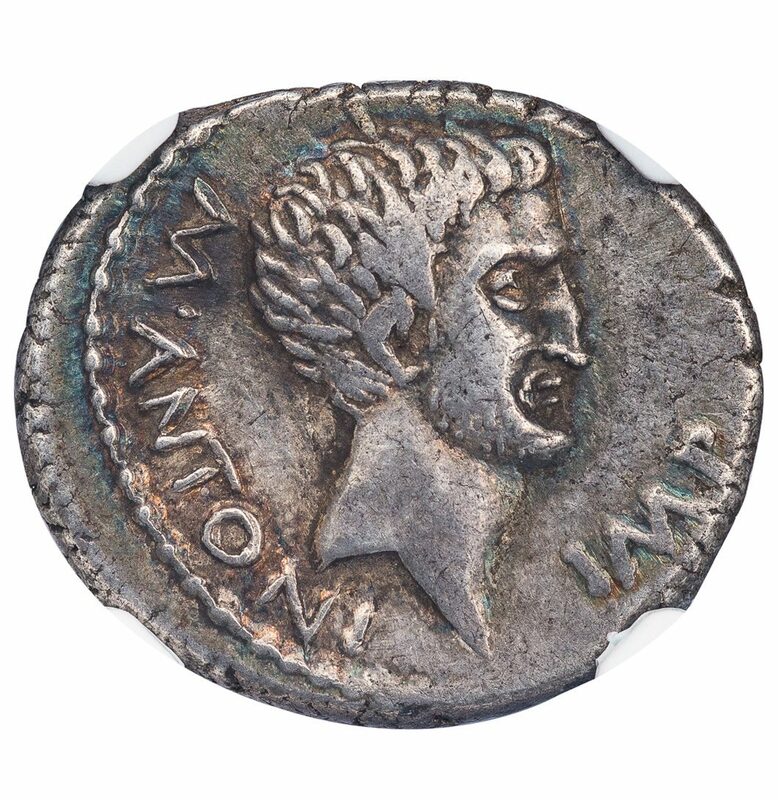 M· ANTONI· IMP, head of Marc Antony right, wearing mourning beard. Rev. III VIR R · P · C, distyle temple, housing a round medallion with a radiate bust of Sol facing. Crawford 496/1. 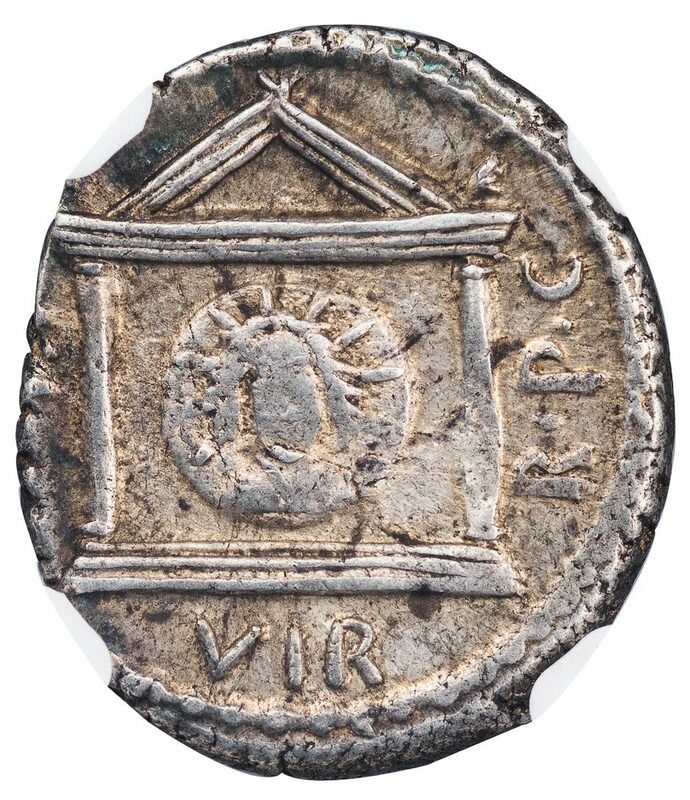 CRI 128. RSC 12. Babelon Antonia 34. 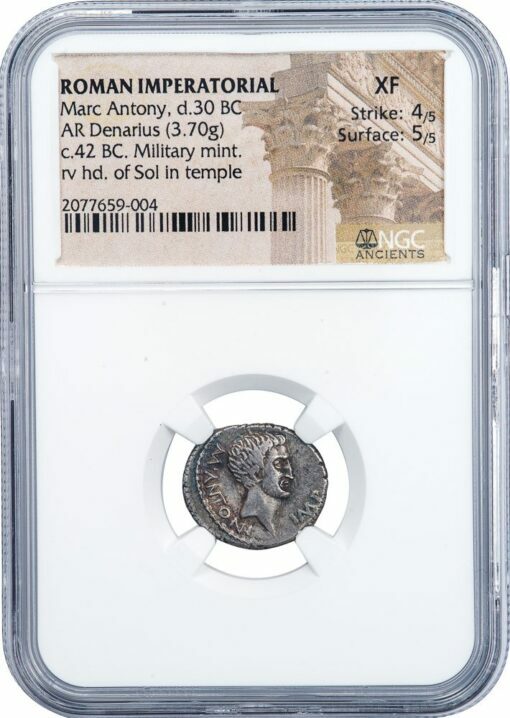 NGC graded XF, Strike 4/5, Surface 5/5, iridescent highlights.